Is your old home and city not cutting it anymore? We know the reasons: your family is too big, where you live is too expensive, or you just want a fresh start. Have you thought about moving to Las Vegas? 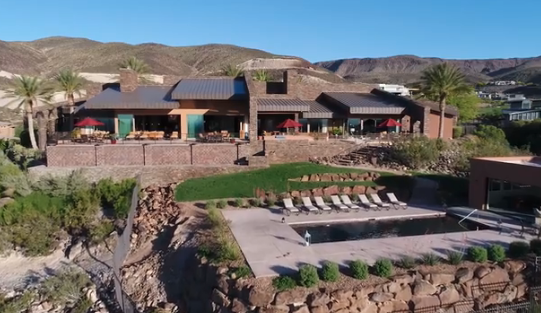 You may think of Las Vegas as some tourist trap, but besides all the glitz and glamour, there are burgeoning communities with beautiful neighborhoods. Here are some of the benefits to moving to Las Vegas. How much does it cost to move to Las Vegas? Don’t be concerned about that. One of the greatest benefits of moving to Las Vegas is that there’s no state or corporate income tax. Nevada primarily gets their tax money from gambling and sales tax. This means that you and your family will have more money to save or to spend on things you like. Finally get that new home or car you always wanted. Do you live in a glum city constantly covered in snow and rain? Well, listen to our moving to Las Vegas advice: ditch the gloom and move here. In Las Vegas, we have a dry, sunny climate that is perfect to spend going out and about. No more will you have to worry about trudging through snow and sleet to get anywhere. All that stays on the picturesque mountains. While it does rain once in awhile in the winter, Las Vegas drenched in the rain is breathtaking. And, the rain evaporates almost instantly. If you’re a fitness nut, Las Vegas can be a dream for you. When moving to Las Vegas, you will be bombarded with countless walking and hiking trails to enjoy at your leisure. Red Rock Canyon is just a short drive outside the city and the sights are stunning at the peak. Las Vegas is also near Lake Mead and Lake Las Vegas, which means plenty of boating opportunities. Las Vegas is always looking to reinvent the wheel. From a new restaurant, to a new casino, to a new museum, to a new park, the Las Vegas community is always adding and improving to its infrastructure. Never be bored after moving to Las Vegas. Are you an unabashed night owl? Does your current city just not understand that? Well, in Las Vegas, you can finally live out your lifestyle without worry. Some restaurants, bars, and grocery stores are open 24/7. Long gone are the days of running out of milk and waiting until the next morning to get some more. Did you know that Henderson was ranked as one of the safest cities in America? Henderson, Las Vegas is one of the best places to raise a growing family. It’s close to some of the highest-rated schools in the Clark County School District, and it’s far away from the raucous of the Las Vegas Strip and Downtown. Of course, if you want to visit, getting there is a breeze. When you’re moving to Las Vegas, you’ll also notice some of the other unique benefits, such as the Mob Museum and Lied Discovery Children’s Museum. It’s simply true. While your small hometown may tout one of the biggest thermometers or balls of wax, Las Vegas touts so many other cultural and economic achievements. Las Vegas is home to some of the most expensive and glamorous construction projects and architecture. It has a rich history steeped from the presence of Boulder City and the Hoover Dam to the chicest shopping and entertainment centers the world over. Las Vegas is pretty much Hollywood without the pollution, snootiness, or paparazzi. ARE YOU INTERESTED TO MOVING TO LAS VEGAS? Moving to Las Vegas is an easy decision, especially when you decide to live in one of the homes at MacDonald Highlands. Consult with our Las Vegas real estate agents. They can show your new home and life.